Wooden house construction company using Naturi technology. Own Naturi manufacture is located in Russia. The production is FSC certified. FSC forest management certification is awarded for responsible management of a forest or plantation area. The Rug Company was founded in 1997 with the aim of creating the most beautiful rugs in the world. The concept was simple, but pioneering: to combine the ancient craft of rug-making with dazzling contemporary designs. We are obsessive about good design, always striving to innovate and inspire with our own collections. We also work with the pick of the world’s design talent, adding to their creative brilliance our expert knowledge of rugs. We truly understand the unique heritage and significance of traditional rug artisanship. Our weavers craft the rugs entirely by hand, using the very same techniques as their ancestors. Our raw materials are naturally luxurious and are handled with such care that they lose none of their extraordinary properties throughout the production process. The result is a rug that is a unique piece of art and made to last a lifetime. Profi2profit was established in 2005 in Moscow. The project encompasses leading higher education institutions in Russia and CIS that provide professional education primarily in the field of design and fashion, architecture and graphic design, design management and service design, as well as culinary arts and music industry. We mostly focus on educational opportunities in creative arts and administrative positions within creative fields in leading Italian and other global design schools. “Agency. Art Ru” is an organization with extensive activities in the sphere of contemporary art. Its priorities are: supporting and promoting young painters, artistic cooperation with already known authors, extensive exhibition-related activities. “Agency. Art Ru” also deals in sales of modern art objects with active promotion of those on the international art market. LITHOS MOSAICO ITALIA was created in Martina Franca (Taranto) in 1985, as a design-studio. Today, after more than 25 years, LITHOS MOSAICO ITALIA has established itself internationally among the leading companies in the industry of Mosaic production with improved craftsmanship and the use of cutting-edge technology with its strengths being uniqueness, beauty, versatility and the ability to interpret and adapt to the requirements and tastes of the customers. Hand painted wallpaper, fabrics, porcelain and hand carved furniture. de Gournay, a British luxury interiors company, specialises in creating exquisite hand painted wallpaper, fabrics, porcelain and hand carved furniture. DELUXE Group is well known at the Russian interior design market. The company was founded in 2000 in St. Petersburg. 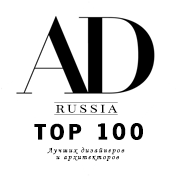 From the onset of our existence, our main goal was to present Russian designers and architects with an opportunity to create original projects on a global level. We want everyone who values individuality in design to be able to materialize their unique ideas in the interior. Katerina Kopytina is an industrial designer at Fuseproject, San Francisco. Katerina collaborates with companies interested in high-quality and market successful products.